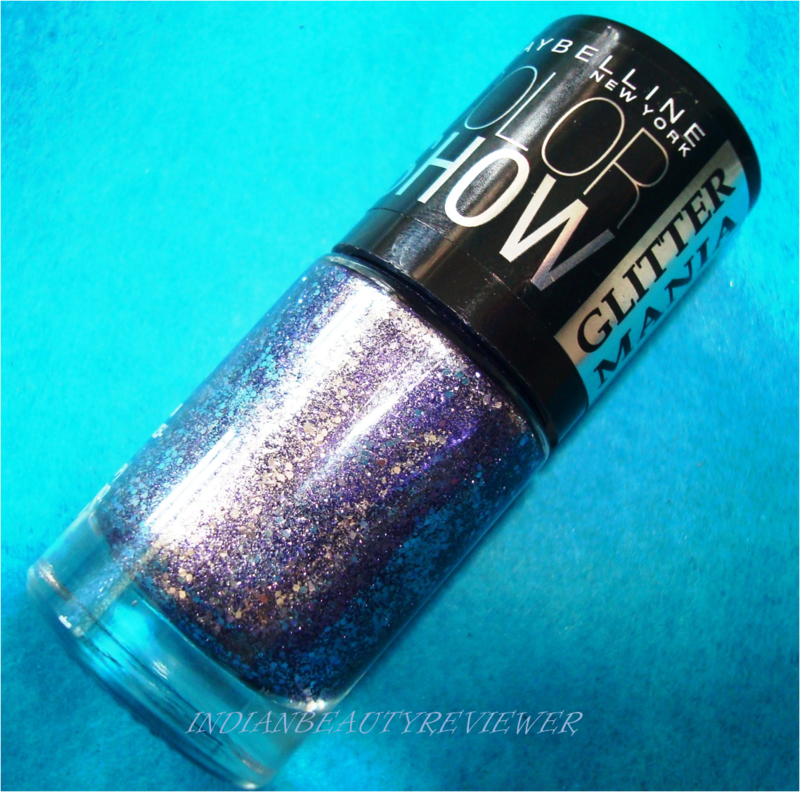 Yes I`m a big Bollywood fan but that`s not why I`m singing these songs...It`s to make you all aware of the glitter trend so in vogue these days....Still didnt get it ? Watch the videos of these not even a month old Bollywood songs and U`ll know what I`m talking about. These chip-free Nail Colors were also the Official Nail Color of the Mercedes-Benz Fashion Week held in New York recently. 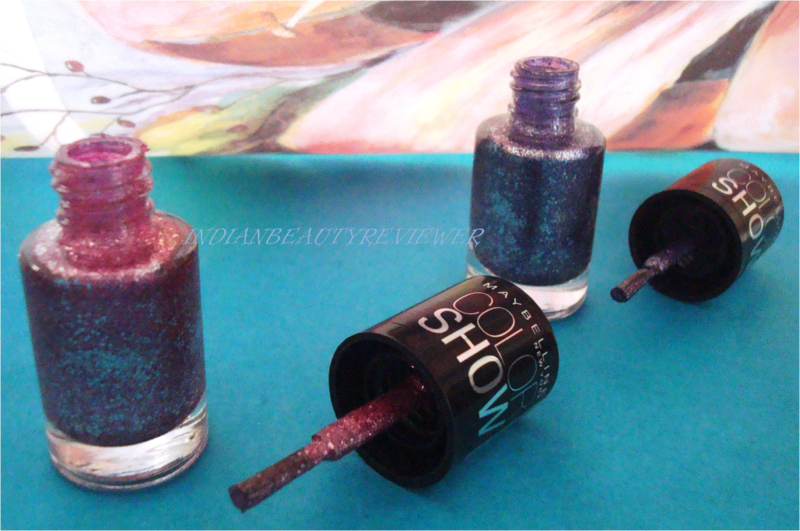 They are literally 6 ml Glitter Potions (just like a Magic Potion) which are priced at Rs 125/- each. They are little handy bottles, not too bulky looking. The brush is easy-flow and applies the product effortlessly and evenly. 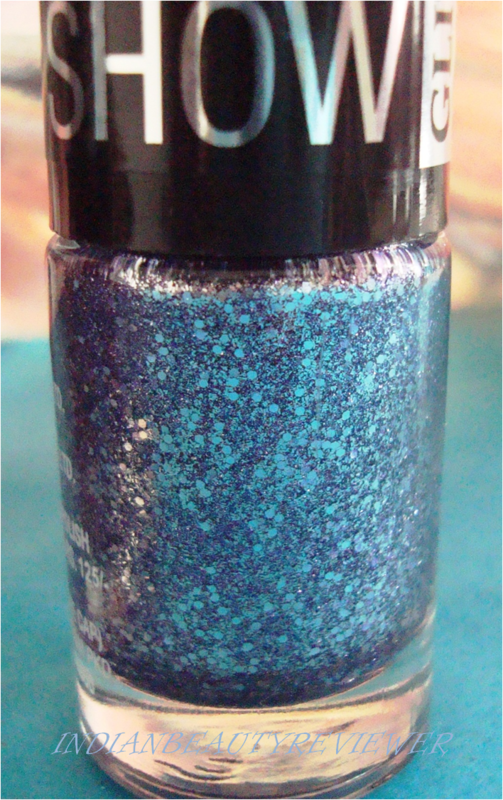 And the glitter in these is CRRRAAAZZZY and CHUNKY thats why I said Maniacally Glittery! 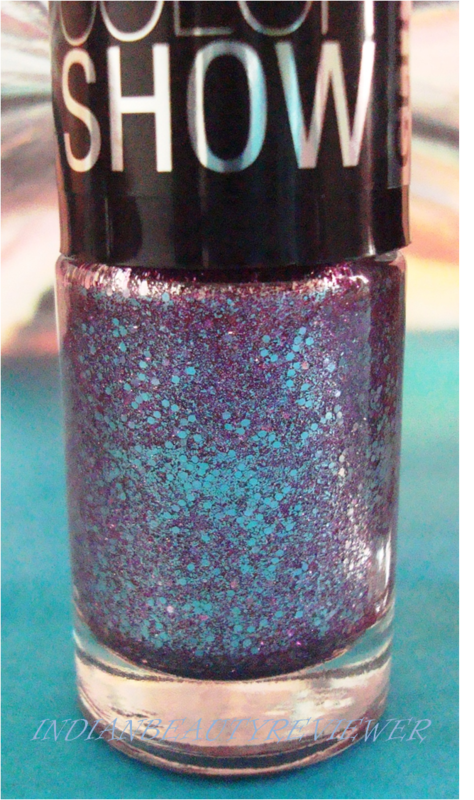 One coat is quite enough to let the color and glitter show up on your nails...It`s that concentrated and if two coats are applied the polish looks heavenly like a million stars concentrated in the night sky ! Another great feature of these nail polishes is that they are really fast drying and literally dried up on my nails in 2-3 minutes. On touching the nail, it felt slightly rough owing to all that glitter placed there. 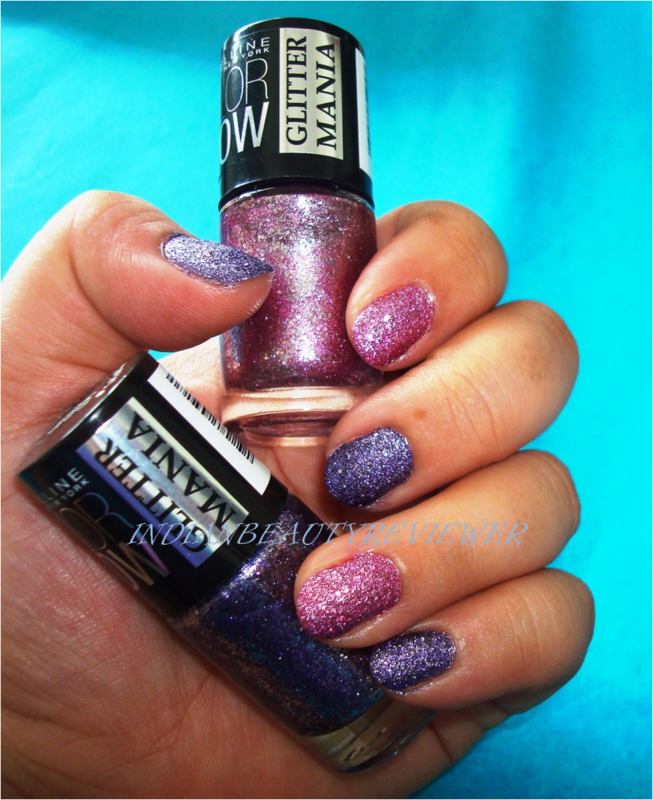 What`s more, these Nail Lacquers are Formaldehyde, DBP and Toluene free. 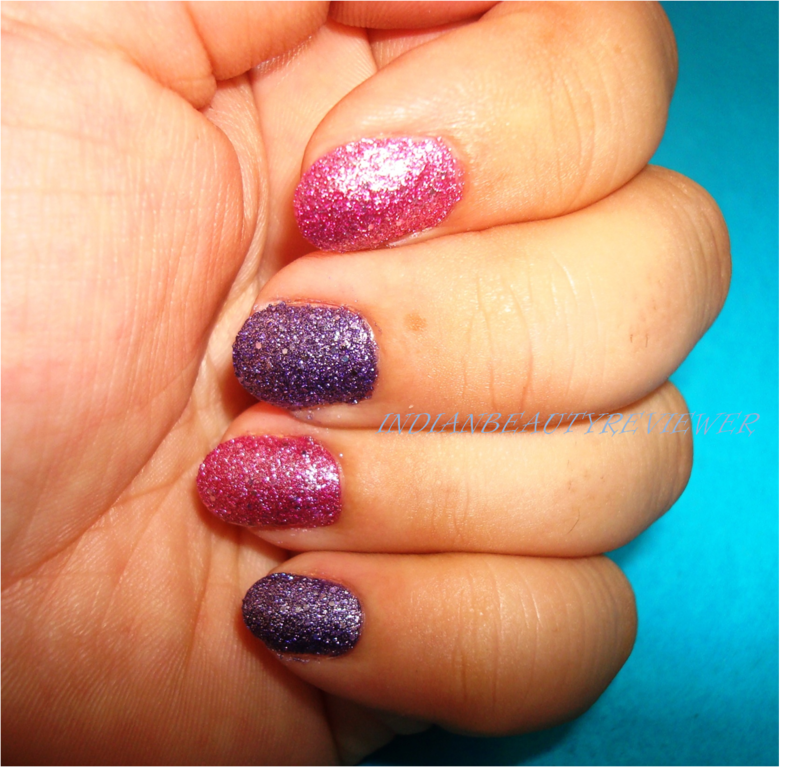 I`ve been wearing both the shades for a day and a half now and doing all my routine work...even shampooed my hair which usually causes any nail polish to chip from the nail tips very easily but with this Nail Color I noticed that it is pretty stirdy and slow to chip contrary to the quick to fade fast drying nail enamels. Removal is a bit of effort as with all glitter nail polishes but I don’t mind it at all since its so worth the finish, price and trend. 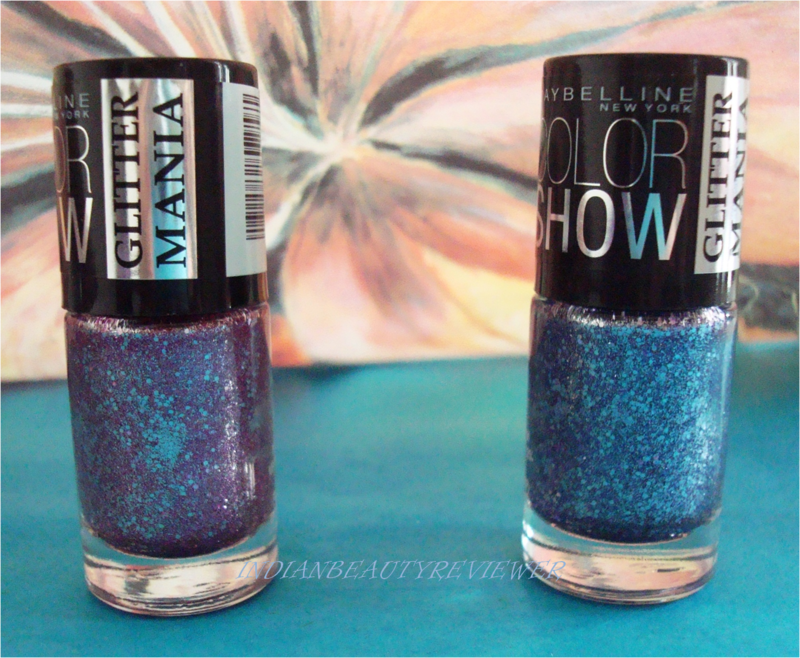 So I would highly recommend the Glitter Mania Nail Polishes to all my lovely Readers. Its totally worth the buy. You guys will be amazed. 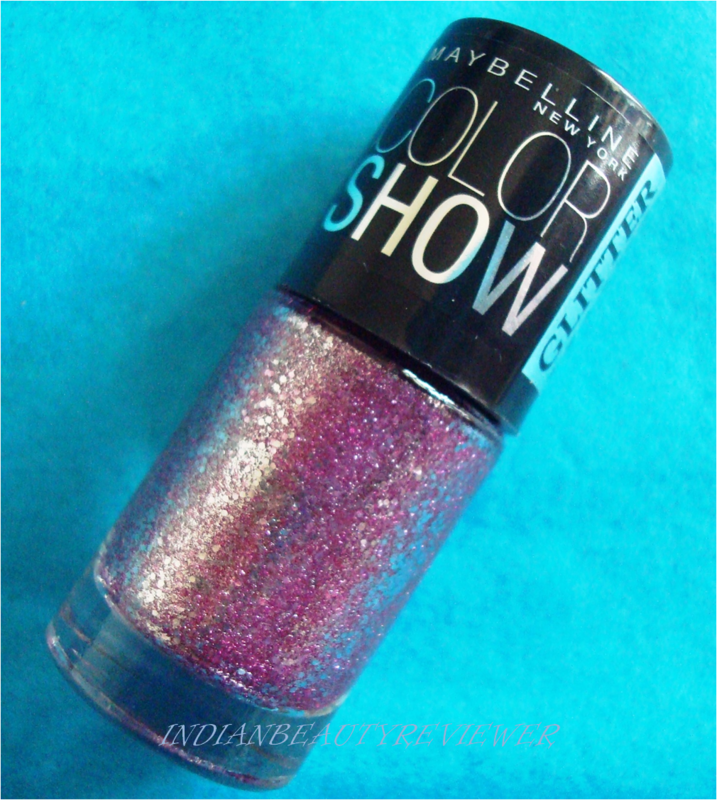 Please rush to the Maybelline counters to get a glitter potion for yourselves !